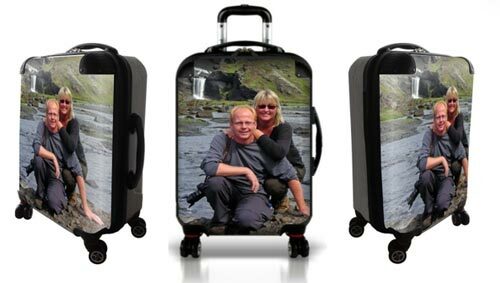 We love My Fly personalized travel gear. You can create your own custom-made bag or luggage tag. It is easy to do… and so much fun. 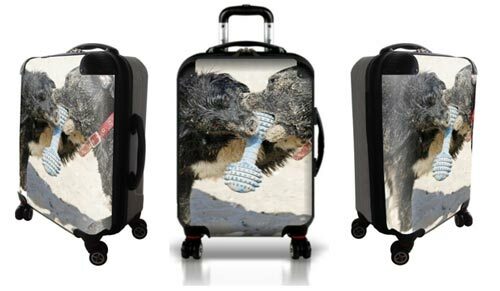 My Fly Bag is a custom-made hard-sided 4-wheel spinner. It is currently only available in one carry-on size (22" x 13.5" x 9"). The bag itself is made from lightweight and durable polycarbonate front shell and ABS back shell. It comes with 360 degrees state-of-the-art spinner wheels, internal alloy telescopic handle and 2 years warranty against manufacturing defects. However, what makes My Fly Bag really stand out is the personalized front. You can upload any photo you like and it is so easy to do. Just find the photo you want to use and upload it. It only takes a minute or so. The recommended minimum picture size is 3 Megapixels. The software warns you if the photo is of low quality. The creative team also examines the photo quality prior to making the bag and will contact you if there are any issues with the photo or the design. 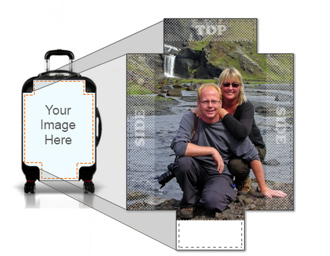 Adjust the photo to fit nicely in the frame and then preview your bag, i.e. you can see how your bag will look like. 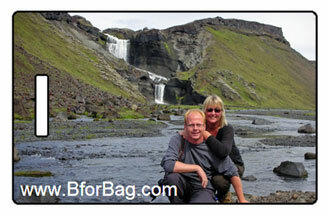 If you are not happy with the outcome, just find another photo… and you will end up with truly unique custom made bag. We of course had to give it a try. This is our uploaded photo, adjusted to fit the frame. And this is how the final custom made bag would look like. How cool is that? 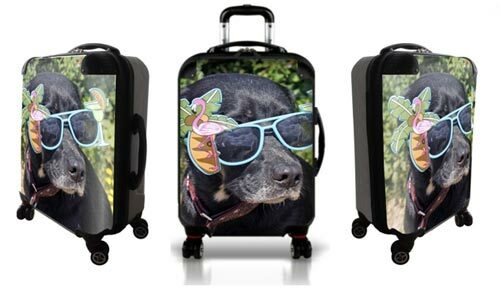 We love it… though we might go for a bag with our dogs instead. Two dogs, so maybe two bags? One bag with the happy mother. And one with the cool daughter. Or maybe we should go for their cool friend? Choosing only one personalized bag is the biggest challenge of all. You can also make your own personalized luggage tags. Again, it is easy and fun to do. Just follow the four simple steps. Here is our custom-made luggage tag. 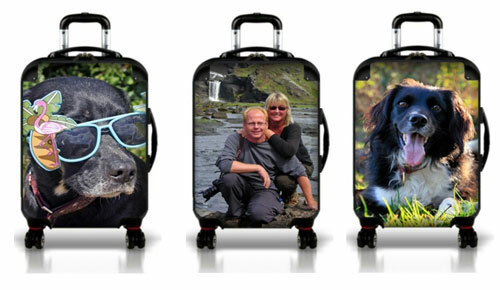 My Fly personalized luggage tags and custom-made bags are excellent gift. 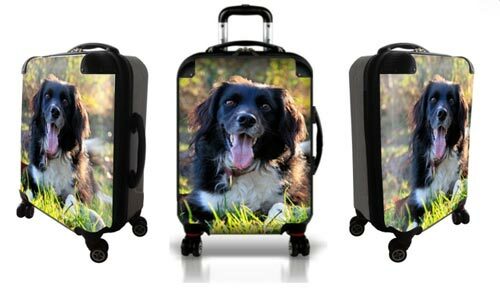 Grandparents will love a bag with the kids and the pet owners will love to be able to take their adored pets with them on their travels. They are also great corporate gift, i.e. you can print your logo on bags or luggage tags and give to your customers or employees. You can also indulge yourself... or do both. 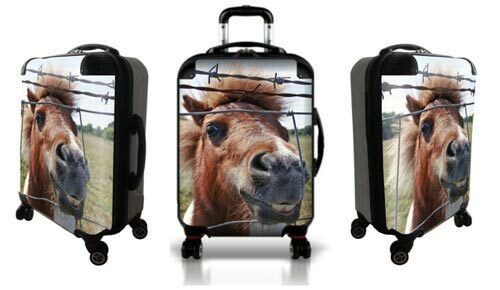 My Fly personalized travel gear is available exclusively at Luggage Pros . They offer free ground shipping within the contiguous United States on orders over $99. They also offer international shipping and you can see the international shipping price ranges on their website.